What does Mark Etting do for a living? 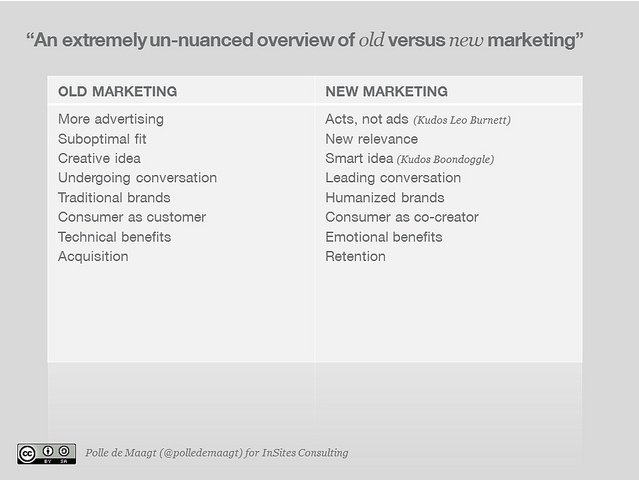 On Marketing and the Marketer. A common reaction marketers face? The What do you do for a living question. It happens from time to time that people show interest in what you do professionally. Not surprisingly, some of them even pose the “what do you do for a living question”. I formerly answered this with “I’m in marketing”. And I recently stopped giving that answer. Today “I’m getting market”, as it turned out that most people react to “marketing” with a frown of their eye brows while producing a little – rather scary – noise in between their teeth. It looks like the images on the left. Agreed, I’m a marketer. My professional activities are about “getting market”. I’m a marketer. And I can’t help it. It’s not a well-planned career path. It’s more something that I, as a sociologist, accidentally stumbled into. Nevertheless, it proves to bring me self-fulfillment. I’m happy with what I do, Trying to “get market”, like in marketing, like in “market getting”, not like in “pushing markets”. Guess the whole frowning and bad-noise-making reactions on “being in marketing” has to deal with to the old-school conception of “what it is to be a marketer” or “what it is to push markets”. Or: how old-school actually means old-scream. Yup, you’ve got to love it! Within this respect Seth’s advice is to no longer interrupt people with spammy messages, to make innovation (in all its dimensions) your biggest cost and last – but certainly not least – craft marketing into your product(s). This is what I would call new marketing. Don’t make crap, produce value and don’t push it. This is the only valid approach to take on marketing. It’s not about supporting short-term sales of crappy products. It’s not about advertising. Or as some put it: “commit acts, not ads”. If you look at it like that, you quickly realize that marketing shouldn’t be perceived negatively. It can and should be used as a positive force to engage with your customer – whether to improve life (B2C) or business objectives (B2B). But how can you unleash the power of your marketers? Well, I believe the GE story is a great example. The business was mature and GE could no longer win by simply launching increasingly advanced technologies or by taking existing technologies to new markets. Some of their best offerings were mere commodities. How does one implement such a thing? New Marketing is a culture, not a department, role or responsibility. In short, one could say GE’s corporate culture changed. They gave Marketing the respect it deserved. It wasn’t just a sales support function for screaming messages at as many people as possible. 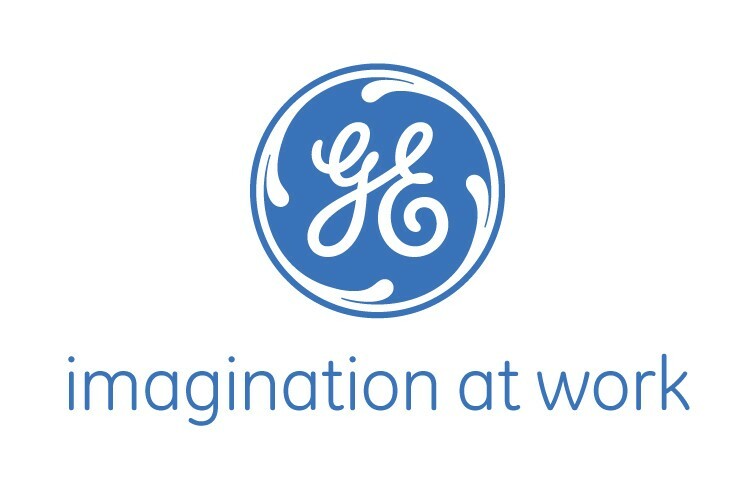 As a result, marketing at GE is now an engine for growth. It paves the way for customer collaboration, new product opportunities and new markets. Equally important however is that this new marketing is related to a new society. Let’s say Society 3.0 or the trends as described in Meatball Sundae. Did you know by the way that lots changed in society 3.0? Branding for instance. 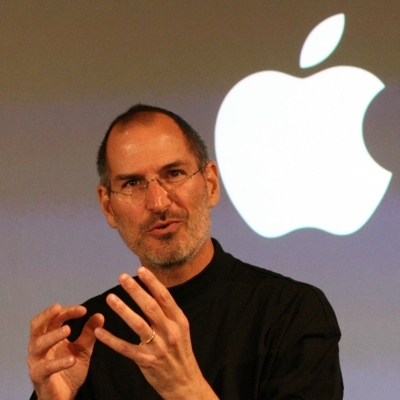 Your brand is about to be a reflection of your corporate culture, certainly in the long run. @briansolis joins the Altimeter Group as principal in order to define clients’ business strategy and bridge their gaps between strategy and execution. Yes, this is marketing. @darmano his new position at Edelman as EVP Global Innovation and Integration. It means he’s responsible for the small, nimble, incremental steps to help a brand uncover new opportunities in marketing, communications and how to conduct business in a connected age. Yes, this is marketing. 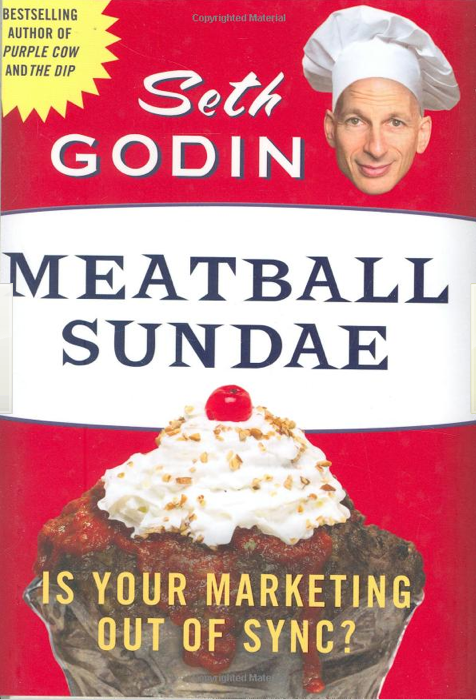 @sethgodin started his own business: the Domino Project and might thereby disrupt the publishing market. And yes, disruption is marketing. This Monkey is in for some Candy. And Stories. 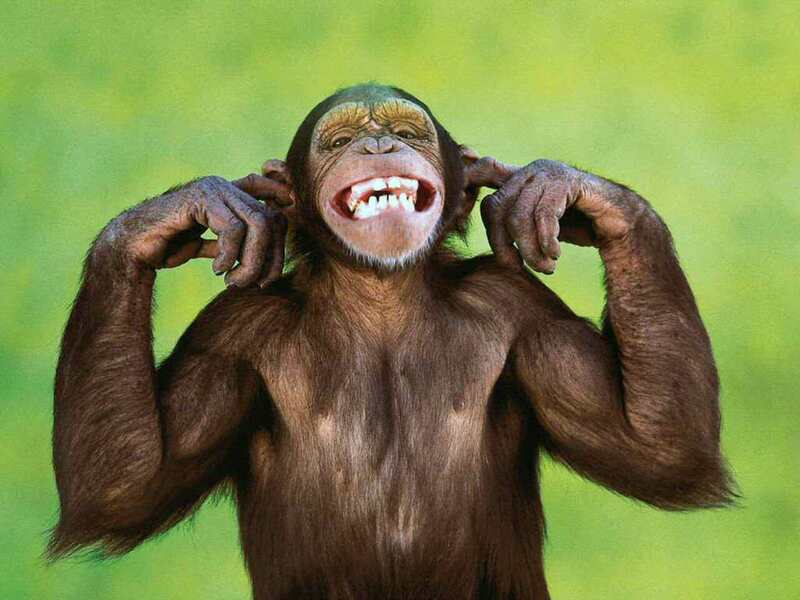 Please Listen very carefully to what this monkey has to say. He shall say this only once! It’s monday evening. You had another marvelous meal with your family. Children are to bed. You’re all set. Couch? Check. Tele? Check. Wife half asleep under the blanket? Check. Game on? Check. Candies? Check. Didn’t you just enjoy a great dinner with wife and kids? Do you really need that candy bar? I thought children were to bed? I can tell you one thing: you don’t want candy. So why are you eager for candy than? Well, simply because you have a monkey brain! You’re telling me I have the brain of a monkey? No offense, but yes I do tell you that you have a monkey brain. Period. Let me explain. In fact, you still have that brain from back in the days people lived in caves. And it’s that caveman that is hard-wired deep inside of you that makes you want to have candy. You know back in the cave days, sugar was scarce. So we took every single chance we had to pump sugar into our body. Nowadays, we still have that same brain. We still take every chance we have to eat candy. However, in today’s world sugar isn’t rare it all. It’s everywhere. But our brain doesn’t realize that. What our brain also doesn’t realize is that it simply loves stories. Back in the cavemen days, stories were the manner to transmit information and knowledge in such a way that it was easy to remember and to share. The explanation speaks for itself: in an oral culture – where content is transmitted via speech – one needs a certain “angle” to find something compelling in order get attention, to be remembered and – especially to be shared. And that’s where stories come into play. Stories create an angle. An angle makes something remarkable. Something that is remarkable enough to be noticed. Something that is that impressive that you might remember. Something that is that awesome that you need to share it with your peers. Stories are told with moderate voice, or even whispered! As stated before, in oral cultures, information was passed along through the usage of stories. As people were unable to transcend distance, only those at the right time and at the right place were able to hear the information. They were close enough to hear a story being told. A story brought to them via the medium ‘voice’ or ‘speech’. The medium wasn’t disruptive and messages weren’t loudly screamed at participants. People who wanted to take part were pulled towards the storytelling circle, because of their interests, because of the fact they belonged to the community. What we should realize here is that “stories” and “storytelling” are hard-wired into our cavemen brain – as is our love for sugar and thus candy. OK. Fact. But doesn’t the monkey brain brings along implications for today’s business, marketing and communication? Not authentic? Sleep outside of the cave... not safe for mammoths! I didn’t tell the story above without a reason. I want to distill some essential characteristics of human communication and relate them to the world of business, marketing and communication. The thing is, we are still cavemen, all of us. Our brain still favors elements that are compatible with a cavemen environment. We live in a modern world with a prehistoric brain. So here we go, what are the implications of the monkey brain for business, marketing and communication? Don’t push it, Pull me. But pull me hard, Baby! The storytelling phenomenon from the cavemen clearly demonstrates that information or messages should not disrupt (push). Creators and distributors of information made their content that relevant that people were basically dragged towards them. In this manner, creators could whisper the story to the people in the circle. The circle is what we label today as a community. Today, with so-called social media, we have the chance to spread stories and make them easily accessible for anyone. Through conversations about the story, the community is build. No need for shouting. Whispering works just fine. The whole point of the cavemen culture was to connect people by creating a “shared knowledge base” crafted through stories. Because of mankind’s evolution we altered from this and we started screaming our information. After all, screaming was the only way to reach people spread across the globe. Today, with the rise of social conversation digital media, we have the chance to act close to our monkey brain again. We can whisper messages to people in our storytelling circle slash community. To match the monkey brain, a whispering approach seems to work well. As a result we need to show ourselves in our authentic way, fully transparent. No spinning please, those sleep outside of the cave. Social control was rather big in cavemen society. People that told stories that weren’t authentic or fully transparent weren’t appreciated. They were condemned to sleep outside of the cave. 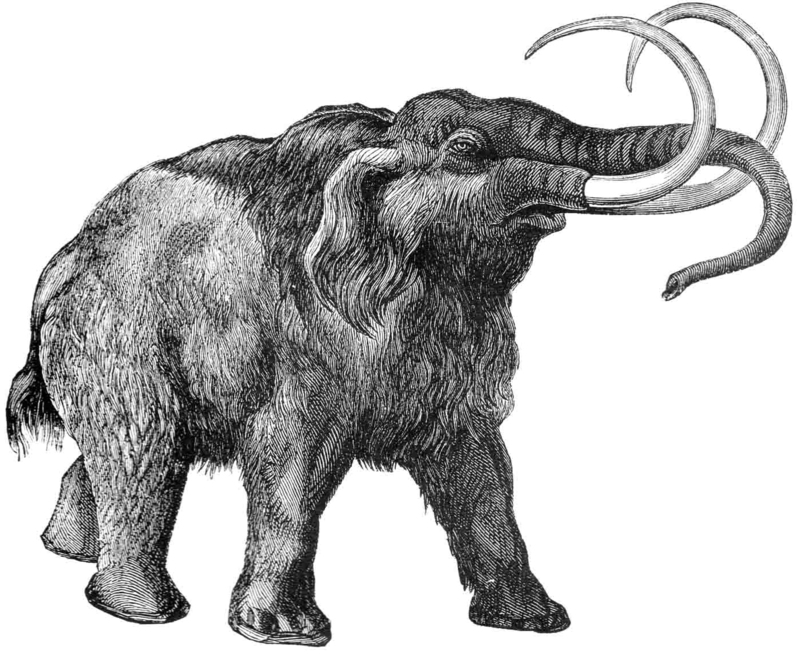 Pretty unsafe for mammoths! It seems as if the above reflections result in the same conclusion as made by market researchers. Here’s something I found through Twitter (yes, Twitter): a “bit of Polle Demaagt” from InSites Consulting. I believe at the end, we (try to) indicate the same thing. For those who rather have schemes than a story, I’m talking about the scheme below. The above shows why I whisper through the web. Yes, I don’t wear a monkey suite. And yes, I do realize that the baseline “screaming is from the past” doesn’t completely fit. But I hope to have demonstrated that in the cavemen era people whispered in a community – they did not scream to people outside the community (who didn’t care about the information) and that we consequently altered from this, but that we now have the chance to go back to acting like our monkey brain loves most. The above is just my story, framed for a special purpose. I could have framed it completely different. But here’s why I did not. Date is March 2010 or something like that. I decided to set-up this blog. Did get an average of 23 people a day. Hooray! OK, it helped me to get rid of my writing anger. But clearly, it soon appeared that I wanted more. So I ended up thinking about adding some touchpoints for the blog: a twitter account, mention it on linkedin, tumblr account, etc. Options were numerous. I decided to go for Twitter first. I think we were September 2010 by then and it’s one of the key drivers of writing this piece. There you are. You have a twitter name. Congratulations! Now what? What to do with it? I decided to consider Twitter as my private teacher as I figured a lot of interesting people had to be active on Twitter: MBA professors, Industry Thought Leaders, etc. Setting up an attempt like crafting Twitter into a first-class MBA professor is hard. Quite frankly, I’ve unfollowed loads of people that I followed at the start of my Twitter experience. But one guy has been there almost from the very start. And I’ll probably never unfollow him: @rafstevens. I was intrigued by Raf’s project “The New Trade”, a crowd-funded and crowd-sourced book on Storytelling for business. So I asked Raf: “how does the collaboration process work?”. Raf kindly replied me “why not have a phone call about that” and provided his phone number. I promised to call him the day after. I didn’t. It slept my mind. My apologies. However, I decided to take this “social error” (not calling as promised) into an advantage. After all it gave me the time to get more details and insights on the entire storytelling thing. I used Twitter (and @rafstevens in particular) to obtain an MBA in storytelling. With Raf’s expressions and links to other world-class storytellers I started to realize what it’s all about. Or at least, I believe I do. I wonder if Raf thinks so too.